I like it!! BELIEVE BABY, BELIEVE!! 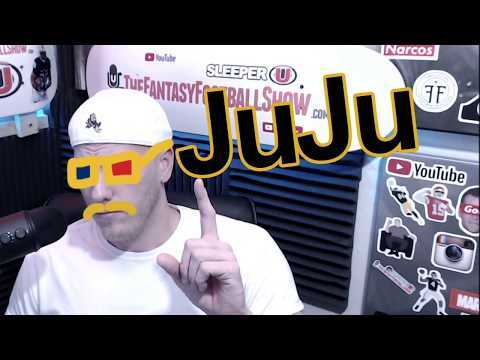 My question to you @Smitty is would you be so bold as to draft Juju in the late first round of drafts? I highly doubt you see him lasting till the 3rd. He's the WR1 on a strong offence. Ben will want to prove that he doesn't need AB. So the targets will be there. Juju fared very well in AB's absence. 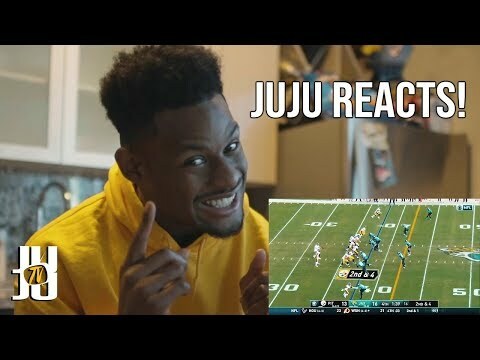 I'm curious.... would you draft JuJu in the 1st? I personally think it eliminates the huge upside. Could he earn that value? Maybe but you wouldn’t have a huge advantage like you would owning him at 3.01 or 2.10 or something. Yeah, I tend to agree. I think JuJu has WR1 potential but I'm not touching him until the mid to late 2nd round at the earliest. There are just too many better options ahead of him until then. I agree with this, late 2nd or early 3rd is where I would like to grab him. However, as WTCM said - someone will surely reach for him sooner than that. I highly doubt he’ll even be available after the 2nd mid round in a 12 team redraft imo. Just name all the players you would draft before him? If I had the bookend position in a 14 team league. Yes I just very might. Call me nuts, but the upside is there. So, mid 2nd in a 12 team league would be 17th - 19th overall pick. There are definitely 19 players I personally would draft before JuJu but that's just me. Not nuts at all. Just your opinion on JuJu. I’m drunk and I guess goldy and I approve!